After visiting the famous Tagore hill in Ranchi I wanted to wish a place with natural beauty. The Tagore hill is a cultural heritage for the city as it holds memorabilia of the famed poet and writer Gurudev Rabindranath Tagore. He spent a couple of years of his life at the Shantidham that is built at the top of the Tagore hill. The location of this attraction is mesmerising as it is surrounded with plush greenery and serene environs. Now the next place that I visited in Ranchi was the Dassam falls. 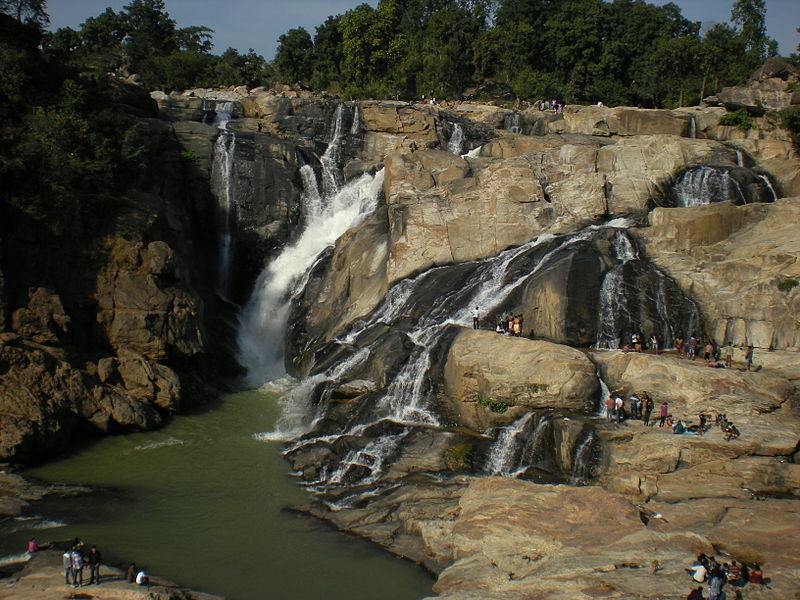 It is one of the most popular waterfalls in the state. 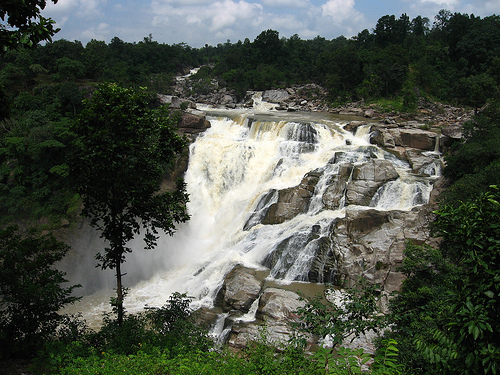 Jharkhand is a state of waterfalls as it holds a number of other ravishing waterfalls as well. This waterfall is located in proximity to the Taimara village that comes under the Bundu Police station in Ranchi, Jharkhand. The place is well connected to all parts of the city and can be commuted via public transport. This waterfall emerges from the Subarnarekha River which is a tributary to the river Kanchi that flows across Jharkhand. The height of the Dassam falls is around 44 metres. It is a breathtaking experience to watch the water pouring from such great height with immense force. The site is very popular among nature lovers and Argonauts. The sound of water from this natural cascade gushing down the hills echoes all around the region. The untainted and clean waters of the waterfall are very alluring to tourists. Many vacationers take a dip in the waters to enjoy its purity. However they are constantly warned not to get into the water as the currents are powerful enough to drown even good swimmers. Unfortunately there have been a couple of mishaps and even deaths due to drowning in the water of this cascade. There are also a couple of eateries in the vicinity where visitors can enjoy snacks and beverages. Picnickers come to enjoy at this site in large volumes. I had a really nice and rejuvenating experience at the Dassam falls in Ranchi. The sound of pouring water from such elevation still echo in my ears and the beauty and thrill that one feels at this site are difficult to define verbally. This entry was posted in Adventure, Attraction, Nature, tourism, Tourist Place, Travel and tagged dassam falls jharkhand, jharkhand. Bookmark the permalink.